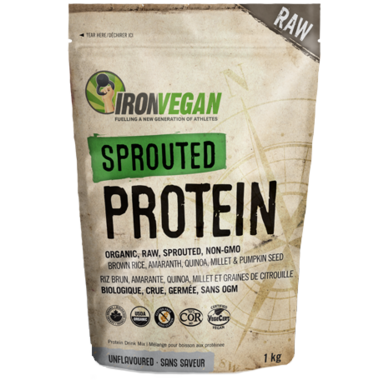 Ingredients: Organic Sprouted Brown Rice Protein, Organic Sprouted Quinoa, Organic Sprouted Amaranth, Organic Sprouted Millet, Organic Sprouted Pumpkin Seed, Apple Pectin, Xanthan Gum. This is one of the best unflavored protein powder I have tried. While it isnâ€™t a perfect blend with a couple of ingredients I could do without it does mix well into anything even mild flavour foods so I will keep enjoying it a couple of times a week. It has a great set of ingredients except the xantham gum, which is dangerous for infants and causes bloating and gas in my digestive track. Too bad! Great product! I've tried many different brand of vegan protein and this is the first I actually enjoy! 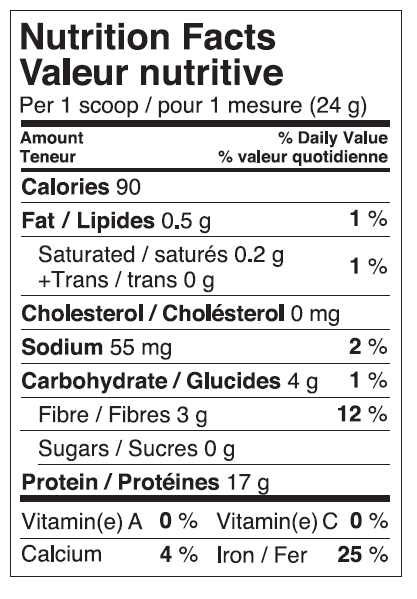 Tasteless, subtle texture - perfect to mix with meals or shakes. Just amazing! And great service from Well, quick delivery and special discount for next order. Will most certainly order again. 5/5!